Mother's Day walk, a photo by The Shutterbug Eye™ on Flickr. 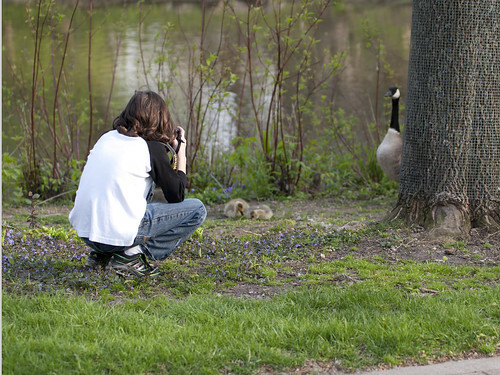 On Mother's Day my son and I went on a photo walk together to see if we could find baby ducks or geese. We were successful, at least where the geese were concerned. Here my son pauses to photograph some of the babies.